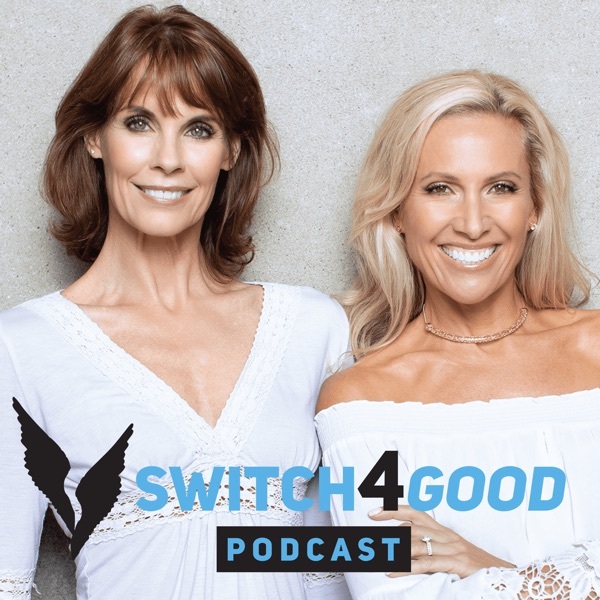 Switch4Good | Listen Free on Castbox. Do you want to live a healthier and more robust life? The key to living a full, healthy, and joyous life lies within the foods we eat—and our relationship to them. Because health isn’t accurately measured by the circumference of your waist or how much you can bench press- true vitality is measured by how you feel, not just physically but deep within. Olympic medalist Dotsie Bausch alongside Baywatch actress and certified health coach, Alexandra Paul, take listeners of all ages on a journey to optimal health and stamina through plant based eating. Dotsie and Alexandra, who both fought back from severe food addictions in their twenties, interview expert nutritionists, pro athletes, innovative thought leaders, physicians and plant-based celebrities. Through their stories, you’ll learn how to optimize your health and pave a path for a more meaningful life. So get inspired and join the Switch4Good revolution. 12 - Robbie Balenger is Running Across America! Amazing first episode. It's fun, informative, eye opening and engaging. I am so excited for more episodes to drop!